Our online registration is easy to use and only takes a few minutes. With this system you can securely register multiple people for multiple events all with one purchase. To see how many spaces are left in the workshop click “show details”. If you prefer to register over the phone, please call (802) 490-9607. Select the number of people who you want to register. Then click “Proceed” to add to the Event Cart. If you are registering multiple people, the first person is the primary registrant, and will get the payment confirmation email. If registering multiple people, please enter the information for each participant accurately. Click proceed to payment options. You have to payment options: Pay securely online via PayPal, or you can download an invoice and mail it in with a check. If paying by check you need to mail it in right away. If the workshop is almost full, or happening within 2 weeks, please call (802) 490-9607 if you are paying by check to confirm payment is being sent. You will receive a payment confirmation email for each purchase. If paying via PayPal, you may also get an email confirming payment from them. Each person will receive a registration confirmation email for each event they are registered for. If paying by check: You will receive an email indicating that payment is due. You will not receive the payment confirmation emails or registration confirmation emails until your payment has been processed. The registration confirmation email has all the information you need about what to bring etc. If you encounter errors or problems while registering please email Brian Post or call (802) 490-9607, so we can correct the problem, and improve our registration process. 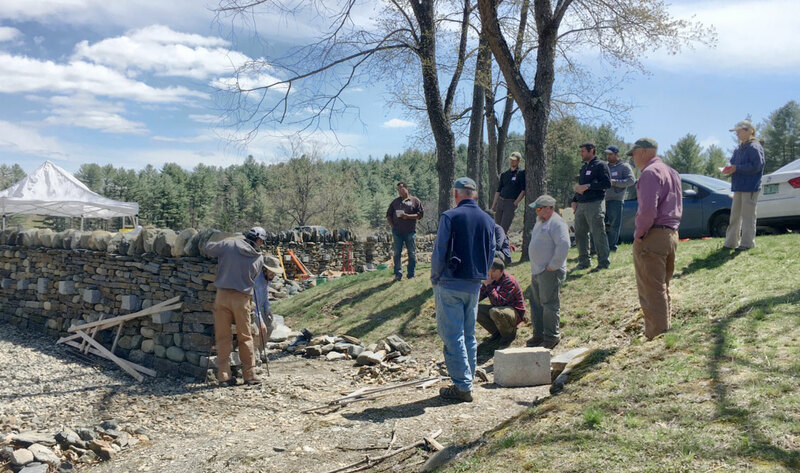 Located on Scott Farm, The Stone Trust Center is home to North America’s only indoor dry stone walling training and certification facility. Outside is the Master Feature Park with all the features that can be used in the Advanced and Master Craftsman tests. There is also a mini walling park where visitors can practice stacking small stones at table height. Click for Directions and Transportation information. The Landmark Trust USA has 3 restored historic homes available as places to stay. The Sugarhouse sleeps 2, the Kipling Carriage House sleeps 4, and the Dutton Farm House sleeps 8 people. All of these places to stay are with in a mile and a half of the The Stone Trust Center. If coming with a group please check for availability.